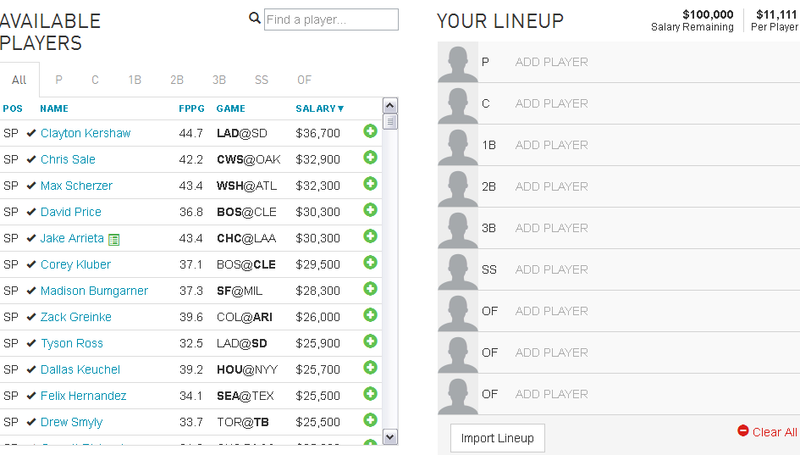 To start the 2016 Baseball Season DraftFury.com is offering a $250 Free Roll which is open to all players. It doesn’t sound like a lot, but keep in mind it is only open to the first 1000 entries, so your chances of catching some free money are outstanding. The Free Roll starts at 1:05PM ET on Monday April 4, 2016 and will include every MLB game scheduled that day. Space is limited, Visit Draft Fury Now and get your Free Roll entry in before it fills. Like most point systems, your pitching will be the key to the highest possible scores. Hitters have no negative stats, you want all your bats to have as many AB’s as possible. 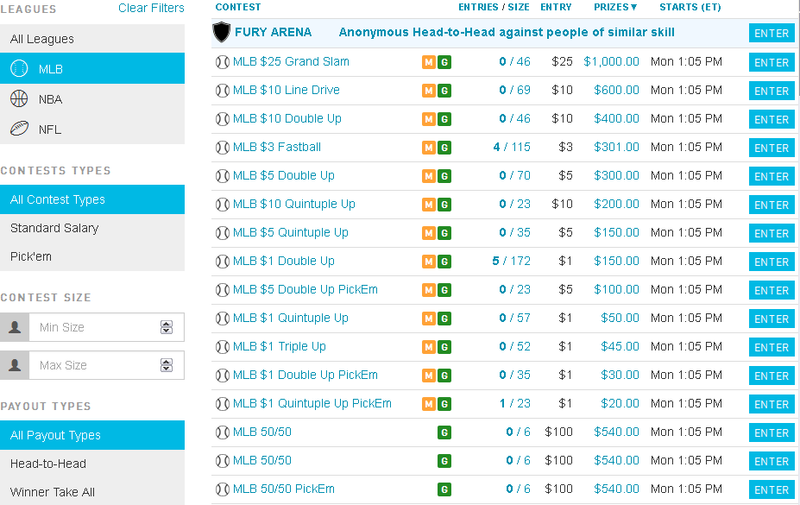 Once your on DraftFury you’ll find the Free Roll on the Main MLB Contest Lobby, along with a large selection of more opening day contests with buy-ins starting at $1. This is the first MLB Season for Draft Fury, so the initial MLB contests have smaller starting entry fields with rather inexpensive buy-ins and guarantees to start. Residents of Arizona, Iowa, Louisiana, Montana, Nevada, and Washington will be allowed to participate in free entry contests, but not paid entry contests. Visit Draft Fury for complete information. Visit Draft Fury now and you can get up to a $500 Deposit Bonus (earned while you play) to get yourself started.